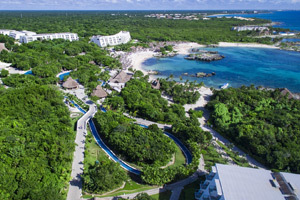 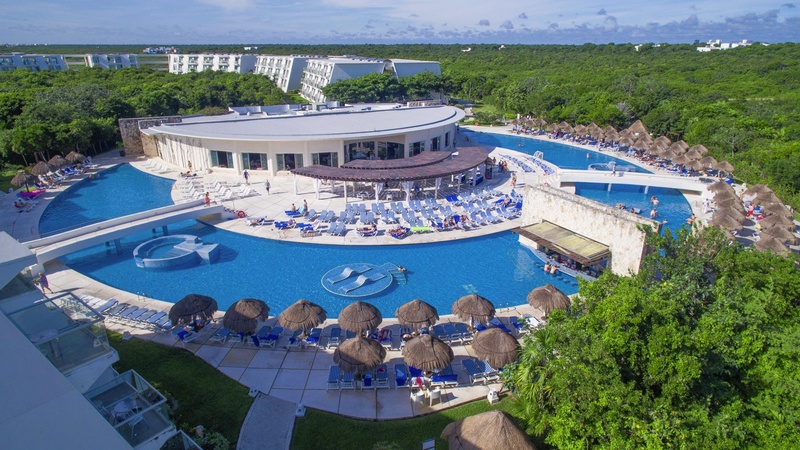 Grand Sirenis Riviera Maya Resort and Spa is situated on the Riviera Maya, just an hour away to the South of the airport at Cancun, and 32 km from Playa del Carmen. 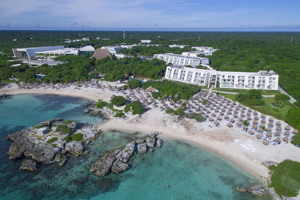 Its architecture, inspired by the Mayan culture, offers a spacious scenario, perfectly blending nature with open spaces. 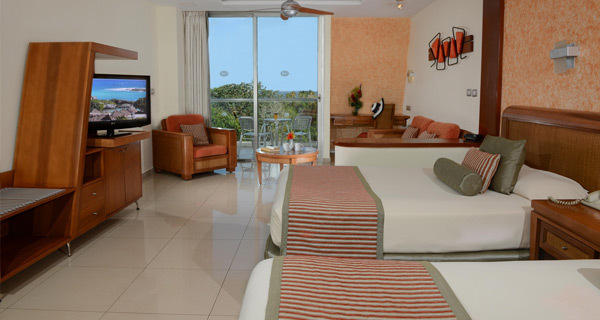 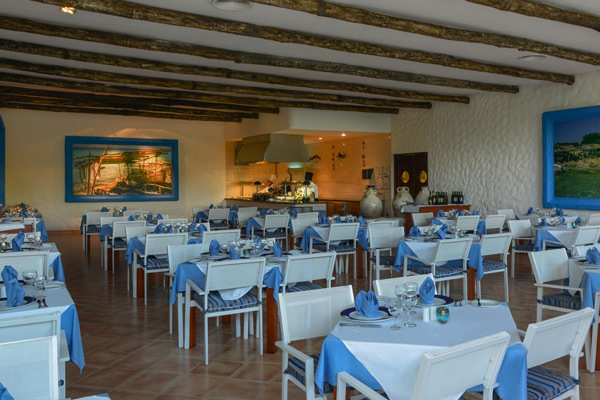 All our guests enjoy spacious, modern Junior Suites offering comfort and incomparable tranquility. 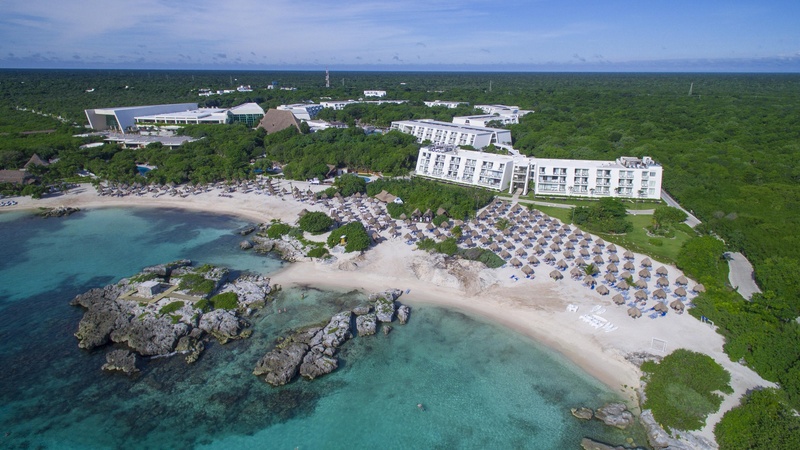 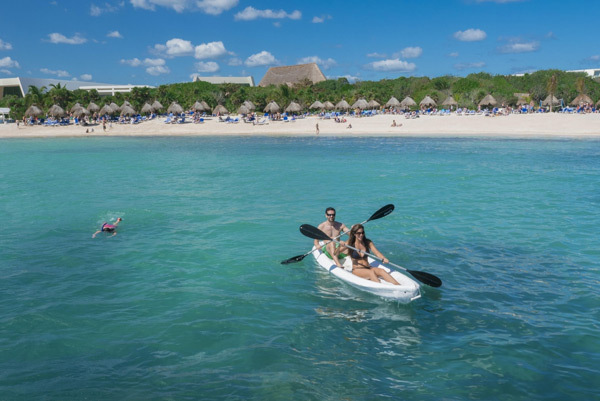 Grand Sirenis Riviera Maya Resort and Spa lies on a beautiful stretch of virgin beach extending some two miles along the coast, and boasts an authentic and perfectly conserved Mayan ruin within a heart shaped inlet; one of the most beautiful spots for snorkel lovers. 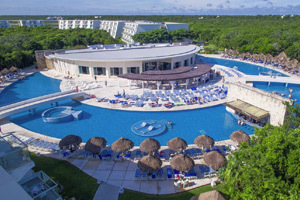 Grand Sirenis Riviera Maya Resort and Spa is a tropical leisure resort with 3 spacious pools, separate pool for children, a lazy river, open-air lounges, 2 main buffet restaurants, 8 thematic restaurants, 11 bars, including 2 pool bars, health bar, coffee shop, disco and even a theatre for the evening shows. 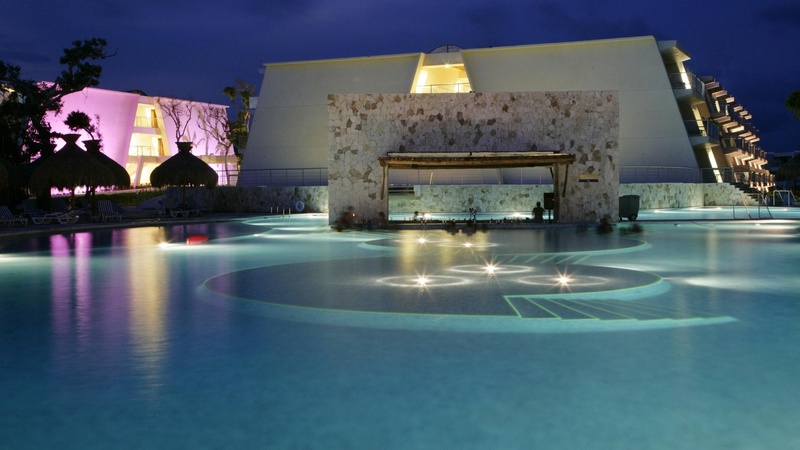 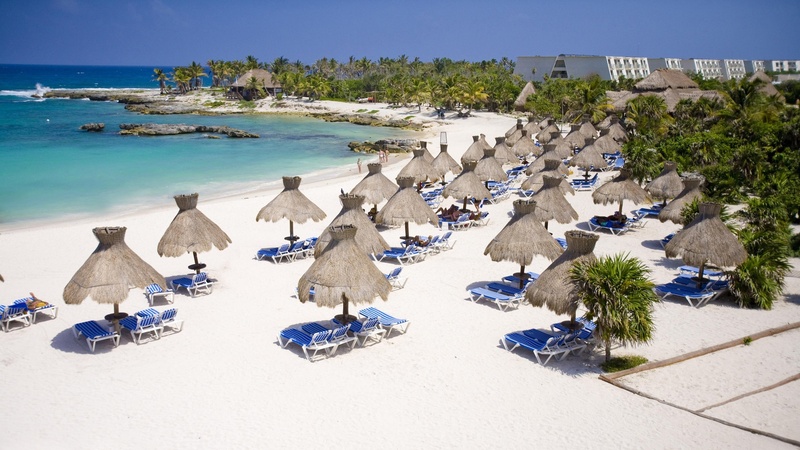 The Grand Sirenis Riviera Maya Resort and Spa, with its original design, combines luxury and elegance with harmony. 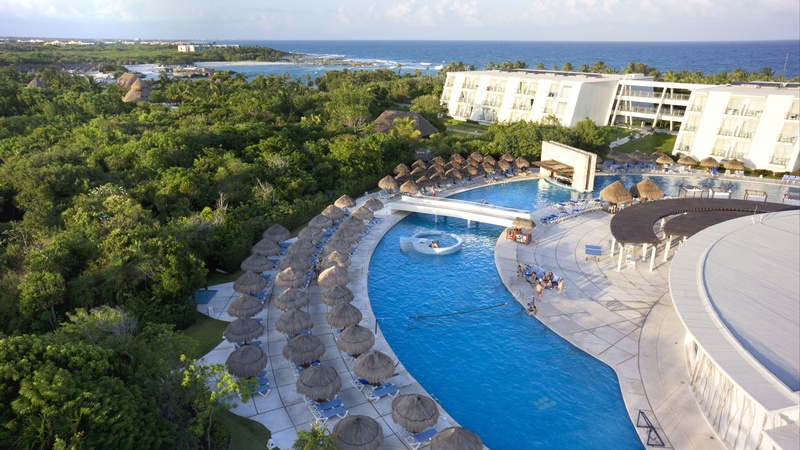 Grand Sirenis Riviera Maya Resort and Spa offers Internet access*, mini supermarket* and shops*, laundry service* and a medical centre* (*Services with extra charge). 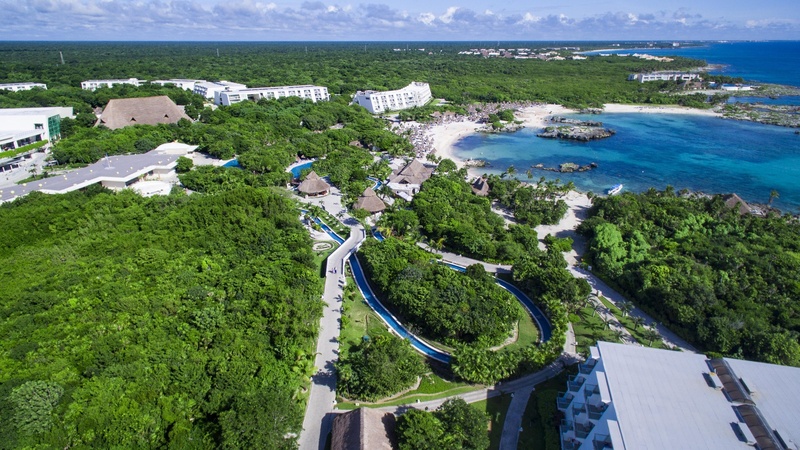 All 955 rooms at Grand Sirenis Riviera Maya Resort and Spa boast private spa tubs and jetted tubs, while including thoughtful touches like free minibar items and slippers. 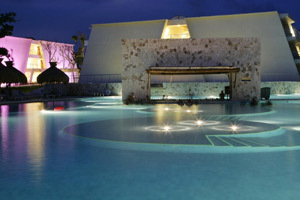 Other amenities available to guests include balconies, sofa beds, and sitting areas.